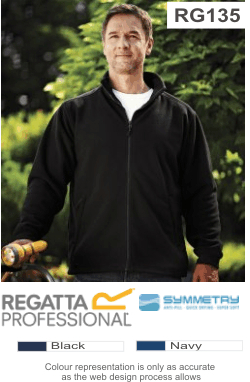 100% polyester anti-pill Symmetry® fleece. 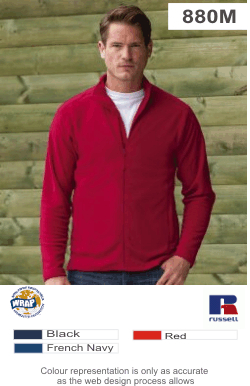 Full zip with storm flap and chin guard. 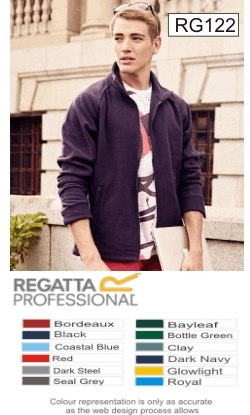 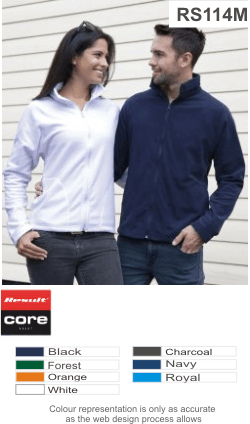 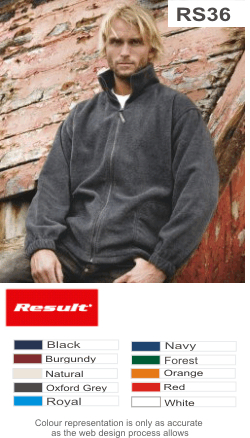 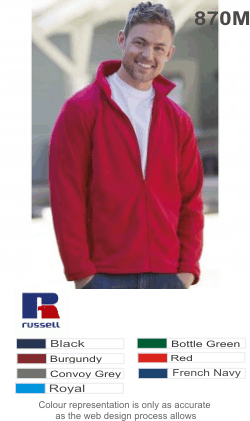 100% polyester 200 series anti-pill Symmetry® fleece. 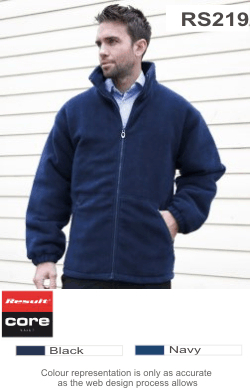 Collar high full length reverse tape zip. 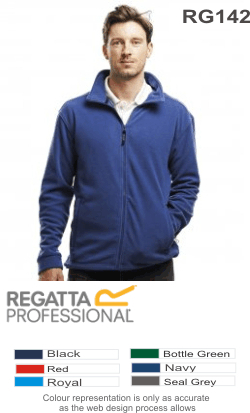 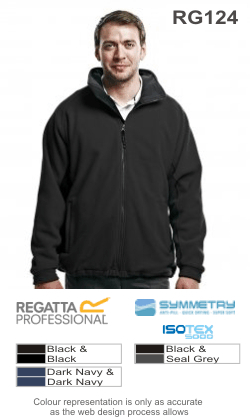 100% polyester 250 series anti-pill Symmetry® fleece. 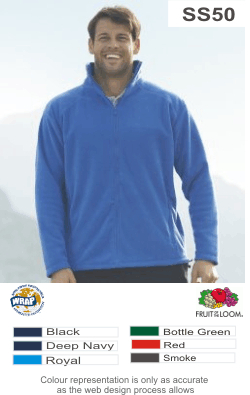 Snap closing access for decoration.